One Direction have released a preview clip of the music video for their Comic Relief single. The band release 'One Way or Another (Teenage Kicks)' - a mash-up of hits by Blondie and The Undertones - digitally on February 17, with the physical CD available from Sainsbury's on February 18. 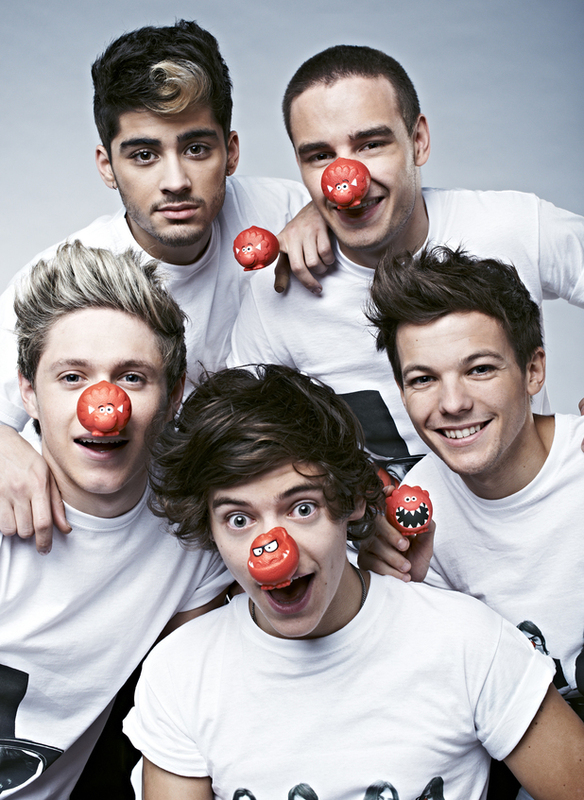 The video was filmed by the band while they were on tour and includes footage from New York, Japan and London, as well as the boys visiting African projects supported by Red Nose Day. It was previewed during tonight's (February 16) Let's Dance for Comic Relief, which saw Tim Vine and The Soap Stars make it through to the final. The full music video will be available on Vevo from Thursday, February 21, the day after the band perform it for the first time at the Brit Awards. Simon Cowell's Syco record label will donate 100% of the profits from sales of the single to Comic Relief.